Some photographers turn their cameras to the faces of people, capturing depth and unguarded emotion in human expression and behavior. 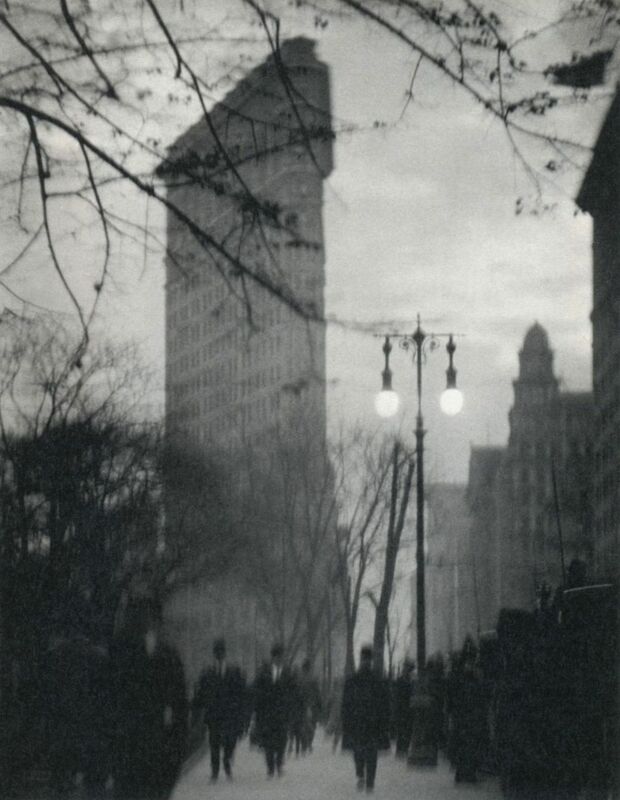 Alvin Langdon Coburn found quiet, abstract beauty in the light and shadows of the landscape of turn of the century New York City. Born in 1882 in Boston, Coburn received his first Kodak as a child in 1890. Infatuated with this relatively new medium, he learned the craft and experimented in the darkroom. In his 20s, he traveled to New York City and Europe to study with greats such as Edward Steichen. 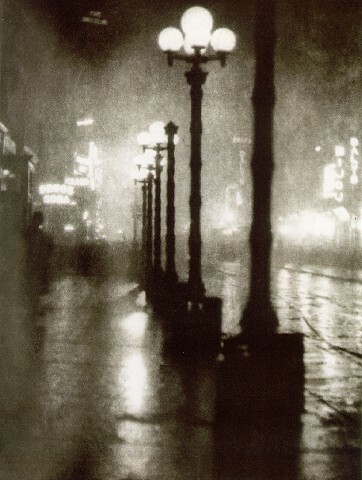 Like leading photographers Steichen and Alfred Stieglitz, Coburn was part of the Pictorialist movement. Pictorialists “argued that photography was a creative art form, on a par with other visual arts including painting, and not simply a mechanical means of objectively recording the world,” states this post from amateurphotographer.co.uk. 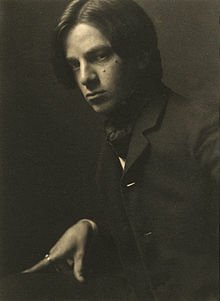 Coburn exhibited photos in galleries and was commissioned to do portraits of notable men of the era, such as George Bernard Shaw and Henry James. Soon, his work took a more abstract turn. 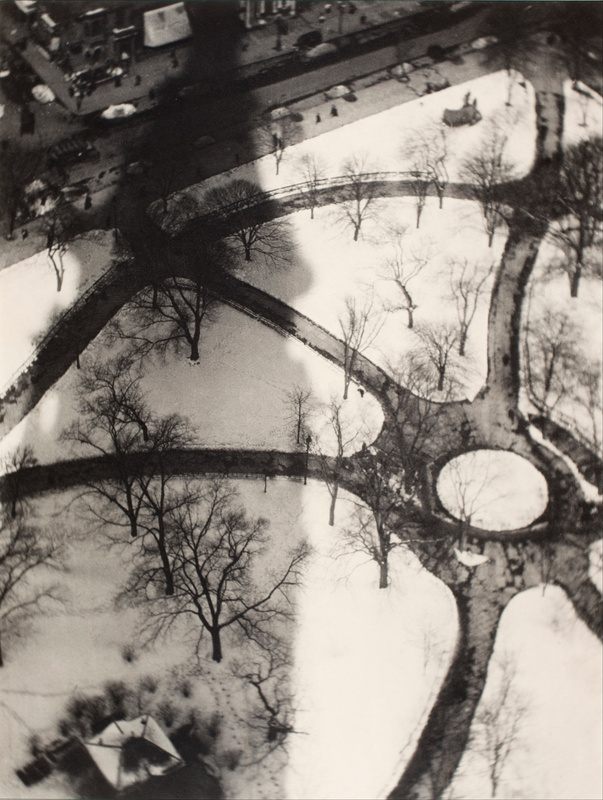 “Like many photographers associated with Stieglitz, Coburn by 1910 sought to shed the romanticism of the pictorial movement and bring photography more in step with abstract painting and sculpture,” states the National Gallery of Art website. 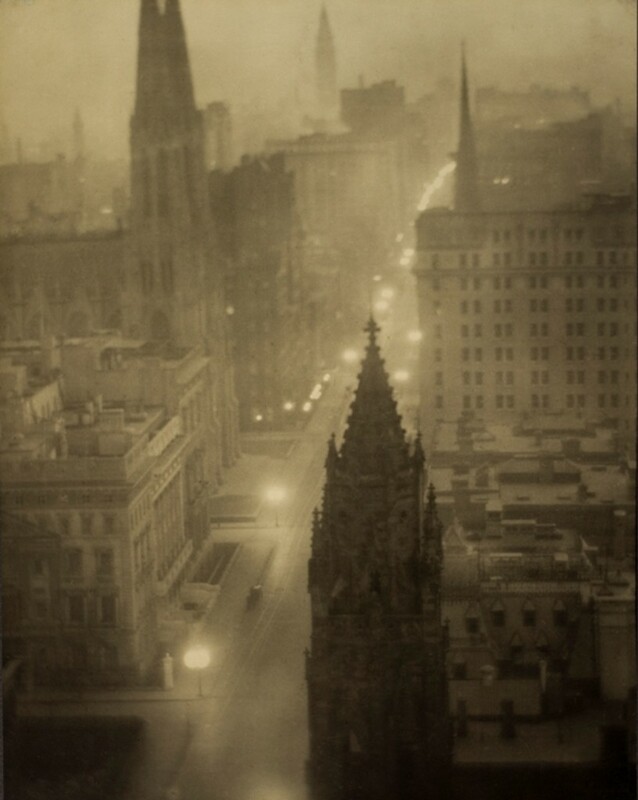 “As a photographer of cities and landscapes (1903–10), he concentrated on mood, striving for broad effects and atmosphere in his photographs rather than clear delineation of tones and sharp rendition of detail,” states MOMA. “He was influenced by the work of Japanese painters, which he referred to as the ‘style of simplification.’ He considered simple things to be the most profound,” continues the MOMA website. Coburn didn’t stay in New York long. He moved permanently to the UK in 1912. By 1918 he had given up photography professionally, devoting the rest of his life to the study of mysticism and the occult. 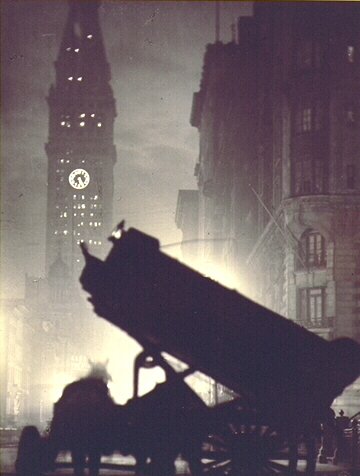 He died in Wales in 1966, leaving a legacy of enchanting images of the New York of a century ago: the soft glow of early electric lights, 22-story skyscrapers casting monstrous shadows over parks and sidewalks, and the presence of powerful machinery interrupting the serene beauty of nighttime streets. In 1901, when this first photo was taken, Sixth Avenue and 20th Street was the center of the city’s posh shopping district. 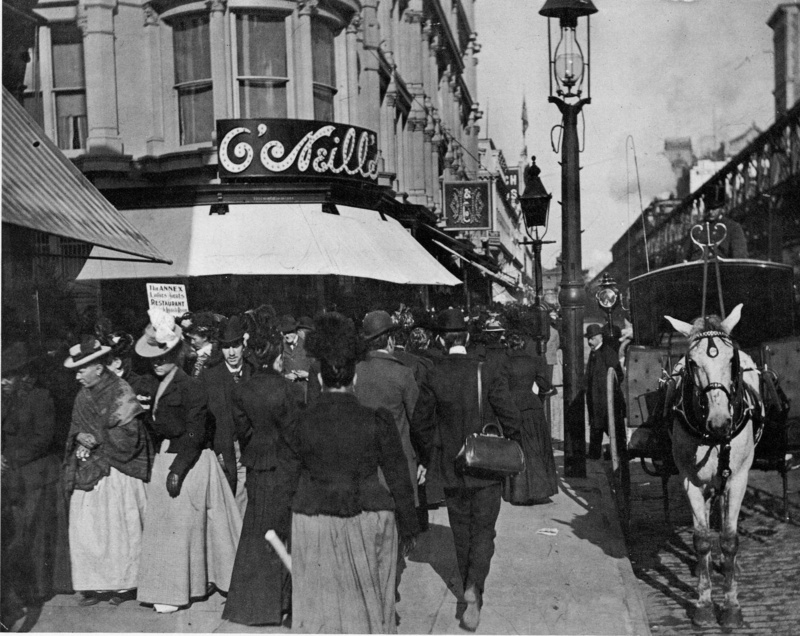 It was part of the fabled Ladies’ Mile, where stores like Siegel-Cooper, Adams & Co., and Hugh O’Neill’s Dry Goods Store sold fashion and furnishings. “By 1915, all these stores had failed, merged, or moved farther uptown,” states the caption to the photo, which was published in New York Then and Now. Here’s the crowd of well-dressed, well-to-do women in front of O’Neill’s. A hansom cab waits, a gas lamp will light the street at dusk, and the Sixth Avenue El is hurtling down the tracks, bringing smoke and more shoppers to the 18th Street station. 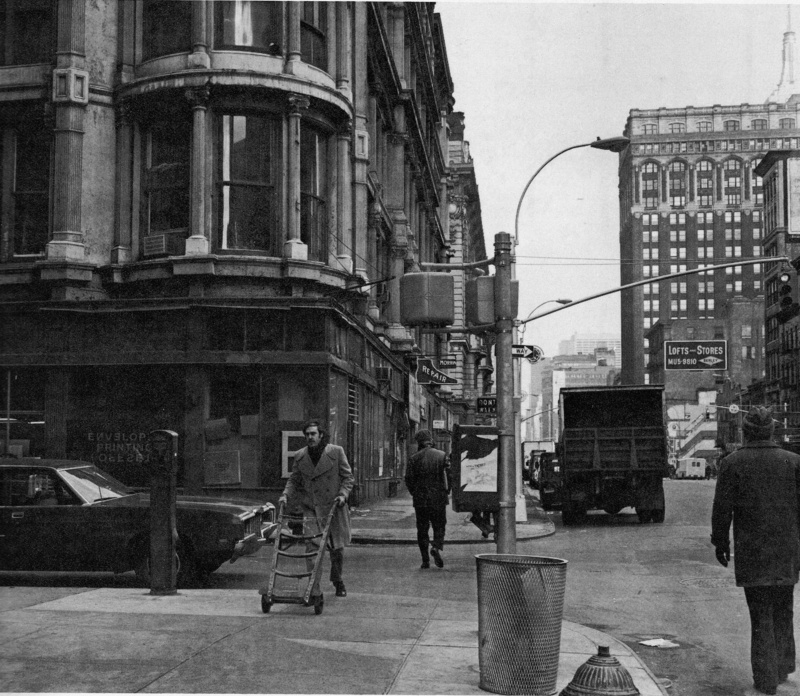 By 1975, when the second photo (also from New York Then and Now) was shot, the area had become grungy and grim. It hadn’t been a viable shopping district of any kind at least since the El was torn down in 1939. 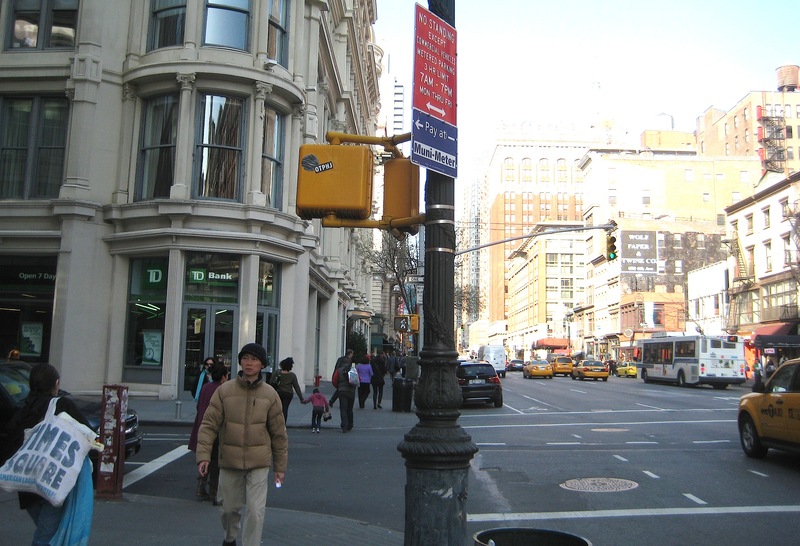 The gas lamppost has been replaced, and the lovely cast-iron buildings support light manufacturing and small offices. Today, in 2012, it’s a bustling shopping strip again—and residential area too. The O’Neill building has been renovated into pricey luxury condos. The ground-floor store is home to a bank branch, of course. 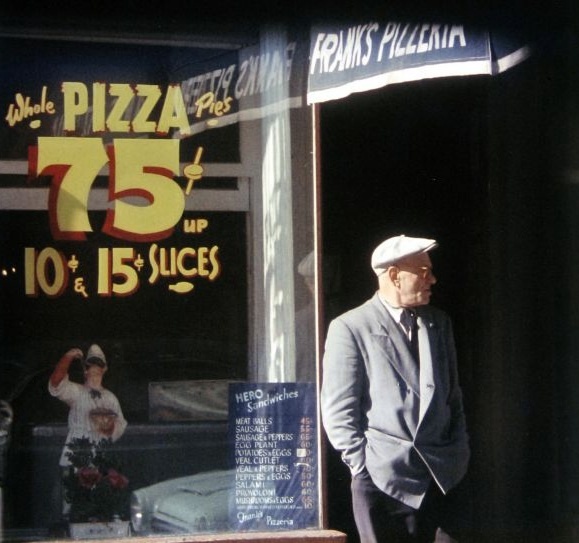 New York has never had a shortage of photographers chronicling the city’s moods and moments. 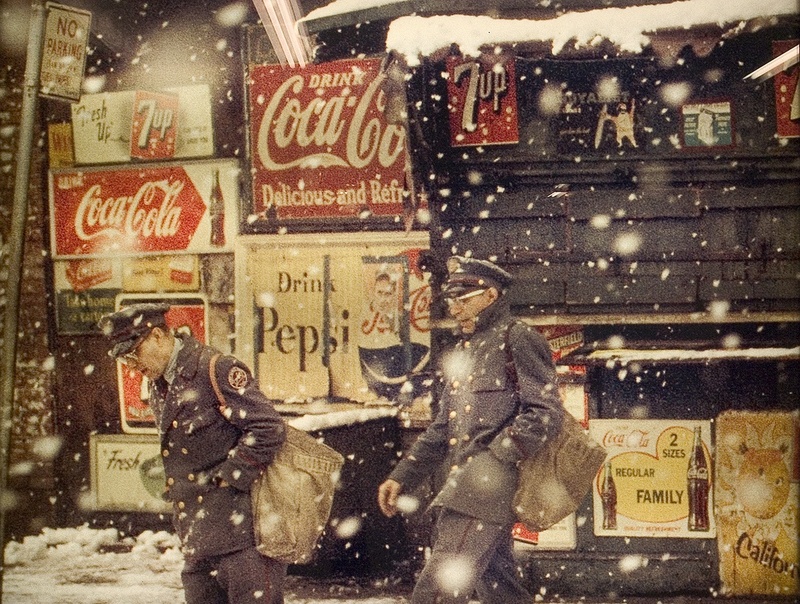 But Saul Leiter’s 1940s and 1950s color photos are something else, even among his New York School contemporaries. Born in 1923, Leiter came to New York from Pittsburgh. With no training, he made a living shooting fashion magazine spreads. On his own, he walked the streets with his camera—often an expired roll of color film inside, which created pictures with muted colors. 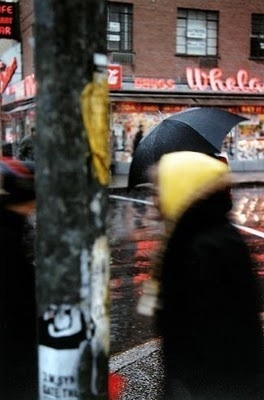 He captured fluid fragments of otherwise unremarkable city life that make haunting, unsentimental images. “I never thought of the urban environment as isolating. I leave these speculations to others. “It is quite possible that my work represents a search for beauty in the most prosaic and ordinary places.